Today's outfit screams FALL...it makes me excited for the crisp air, pumpkin coffee, and cozy sweaters! This Simple Vera Wang mockneck tunic sweater is such a great transition piece. 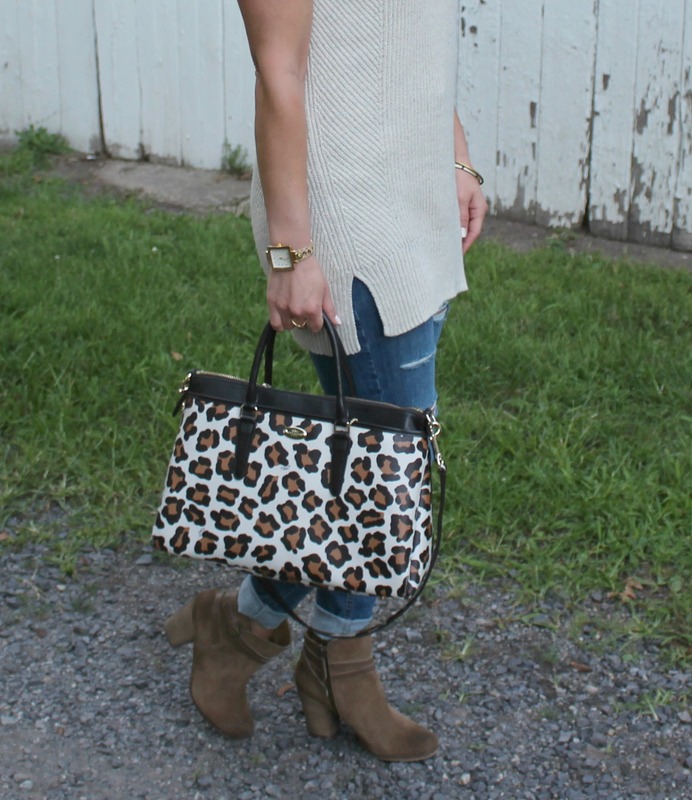 I found this comfy tunic at Kohl's over the weekend and knew it would look so cute with my Topshop ripped skinny jeans. This tunic can be worn over skinny jeans (like I styled here) or leggings. 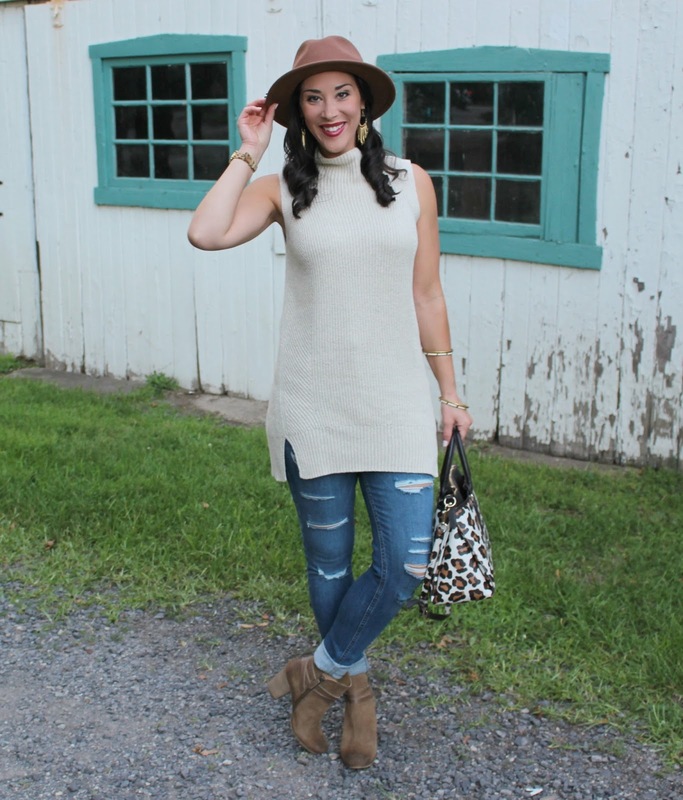 Sleeveless turtleneck sweaters are a great wardrobe addition for early fall! It's on sale for $40 and when you shop with a Kohl's card, you get an extra 20% off right now. 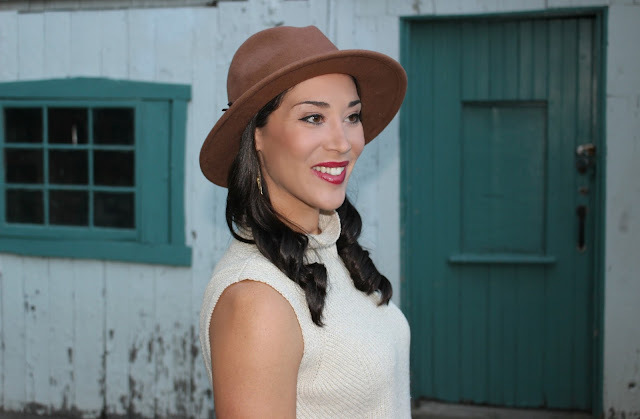 This felt fedora hat (on sale for $30) was an awesome find at Kohl's! I love the camel color and braided cord detail. 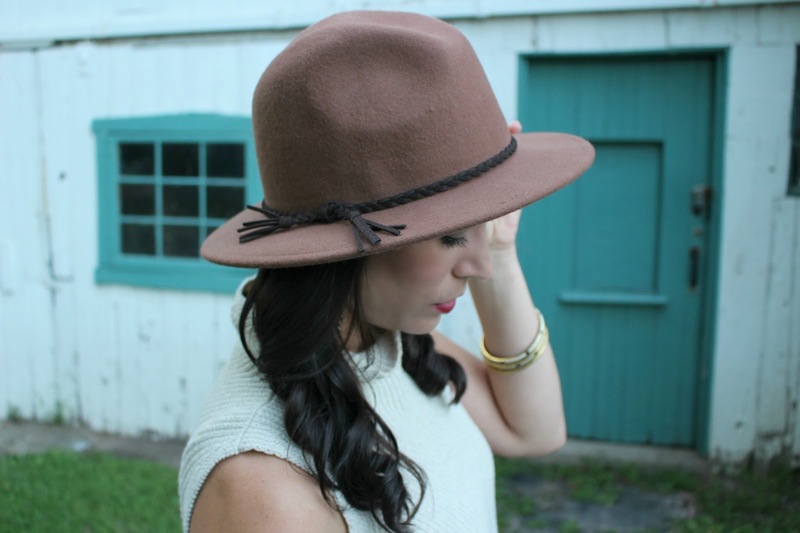 It's such a fun hat for the fall season and the neutral color goes with everything! It was the perfect accessory for this tunic sweater. To go with the neutral color theme, I carried my Coach leopard satchel. 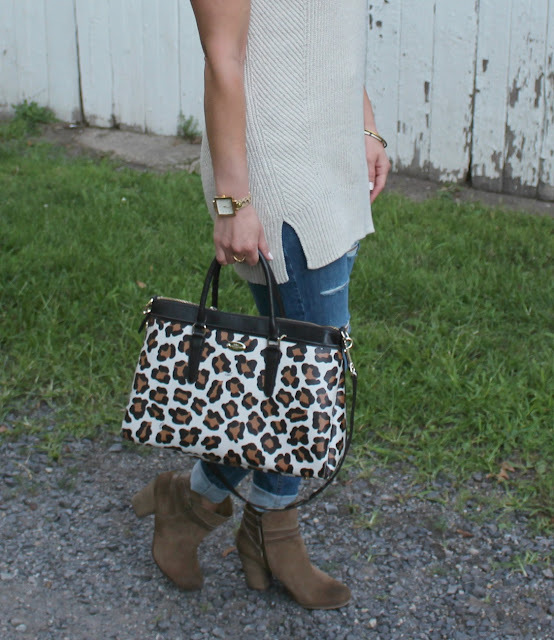 Leopard print is considered a neutral, but it adds a little interest and flare to any outfit! I found a similar Coach bag in the same print here and for a more budget friendly option, Amazon has a very similar Betsey Johnson bag. My ankle boots are the BP. 'Tandem' Bootie from Nordstrom. I purchased these during the Nordstrom Anniversary Sale and I'm so happy I did (I debated!!). I can't wait to wear these when the temps cool off a bit. They are super comfy and come in several colors (I really like the burgundy suede, too). Follow @styleinharmony on Instagram for an exciting giveaway tonight! This look does scream Fall and I love it!! 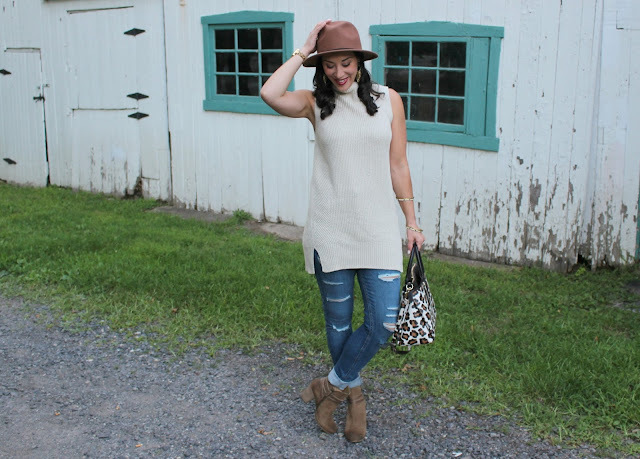 I love the distressed jeans, the handbag, the fedora, the sweater...it's all adorable and classy!! Great look and I love that hat! The leopard purse is fabulous too! This is such a cute outfit! Love those booties! 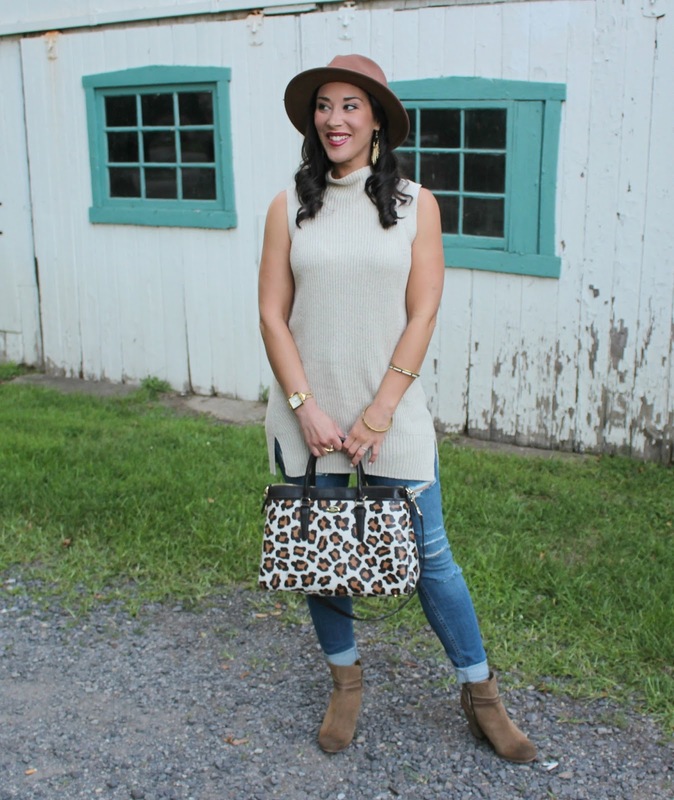 I love this sleeveless tunic I want one so bad! so cute! Gorgeous tunic! 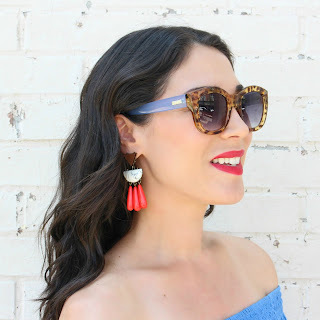 Love how you accessorized it too! You look amazing! I love this transitional look. I saw a similar sweater like this yesterday and debated to buy it, now I wish I did. Your tunic is cute and comfortable looking! I love your accessories especially your hat!